We’re passionate about the UK and the opportunities for travellers. There are so many facets to this great nation. There is a wealth of history and heritage; gorgeous countryside and landscapes to explore; plus modern cities with contemporary art and architecture. From England to Wales, to Scotland and Northern Ireland there are so many things to to in The UK it’s hard to know where to start. Hence our reason to start the UK Tourism List. We will be slowly adding more features on things to see and places to visit in this blog. But for a quick start, you’d be advised to head the advice in the following travel article which originally appeared on the Touropia website (http://www.touropia.com/tourist-attractions-in-england/). There’s no shortage of cliché-ridden ideas about England: From double-decker buses, thatched cottages and country houses, village pubs and cream teas, eccentric aristocrats and cold, grey and rainy weather. Visitors however will find that it doesn’t rain as much as they had heard, that Indian restaurants far outnumber fish-and-chip shops and that there are a surprising amount of great tourist attractions in England packed into a relatively small area. Hadrian’s Wall was built by the Romans to protect their colony Britannia from the tribes in Scotland. It stretches for 117 kilometers (73 miles) across the north of England from the Irish Sea to the North Sea. Construction started in 122 AD following a visit by Roman Emperor Hadrian, and was largely completed within six years. Today only stretches of this famous wall are still visible. There is a national path that follows the whole length of the wall from Wallsend to Bowness-on-Solway. Originally a wooden structure built by William the Conqueror in 1068, Warwick Castle was rebuilt in stone in the 12th century. During the Hundred Years War, the facade opposite the town was refortified, resulting in one of the most recognizable examples of 14th century military architecture. In 2001, Warwick Castle was named one of Britain’s “Top 10 historic houses and monuments” and is one of the top attractions in England. 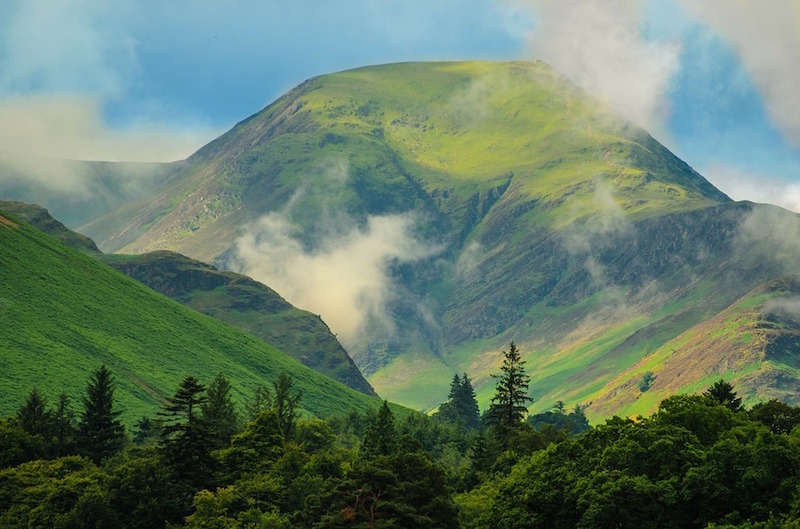 Located in north west England in the county of Cumbria, the Lake District is the largest National Park in the country. The main attraction is the lakes and fells (mountains and hills) carved by glacial erosion and providing dramatic and inspiring scenery. It is England’s premier destination for hiking and climbing. The park is visited by about 14 million national and international tourists each year. Now home to the British Crown Jewels, the Tower of London served as a prison from 1100 to the mid twentieth century. The castle was founded in the winter of 1066 as part of the Norman Conquest of England and served as a royal residence before it became a prison. The Tower of London is reputedly the most haunted building in England. 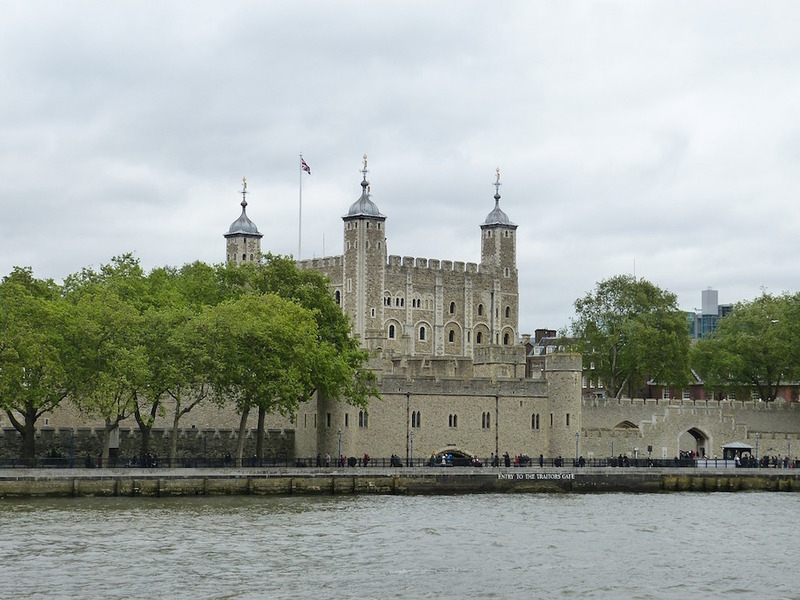 There have been tales of ghosts, including that of Anne Boleyn, inhabiting the tower. The Cotswolds refers to a range of gentle hills in south central England, the main range reaching 330 meters (1083 feet) in altitude at its highest point. The region is known for the stone-built villages, historical towns, and stately homes and gardens. The Cotswolds are a popular attraction in England, within easy striking distance of London and several other English urban centers. The Cathedral of Durham in northeast England is the greatest Norman building in England and perhaps even in Europe. It is cherished not only for its architecture but also for its incomparable setting. The foundation stone of Durham Cathedral was laid on August 12, 1093. Since that time, there have been major additions and reconstructions of some parts of the building, but the greater part of the structure remains true to the Norman design. In a nationwide BBC poll held in 2001 Durham Cathedral was voted England’s best-loved building. One of top tourist attractions in England, Stonehenge is among the most important prehistoric sites in the world. It was produced by a culture that left no written records so many aspects of Stonehenge remain subject to debate. Evidence indicate that the large stones were erected around 2500 BC. It is not known for certain what purpose Stonehenge served, but many scholars believe the monument was used as a ceremonial or religious center. * If you want my advice I would suggest starting in London and ticking off these tourism attractions one-by-one. Along the way on your sightseeing tour you will inevitably discover more tourist attractions and score your own personal favourites. There are thousands and thousands of top travel and tourism places to visit in the UK. All this is available on a relatively small island. The UK surely packs a punch.